If you are seeing changes in your cat such as weight loss, change in appetite or thirst, lethargy, vomiting or diarrhoea, the first step is to make an appointment with your vet for a thorough evaluation. Kidney disease in cats do not often have a specific cause, but screening for underlying problems that may be treated (such as infection) is important. increased thirst and urination, which may include having accidents in the house or incontinence. If you notice you are having to fill the water bowl or change the kitty litter more often, this may be an indication that your cat is drinking more. Diagnosis is usually made on blood and urine tests, and monitoring blood pressure is also important in cats suspected of having kidney disease. An ultrasound of the abdomen is often done to look more closely at the kidneys themselves. Although most types of kidney disease cannot be cured, they can often be managed for long periods of time. A prescription diet is often recommended, and other medications may be used in some cats. 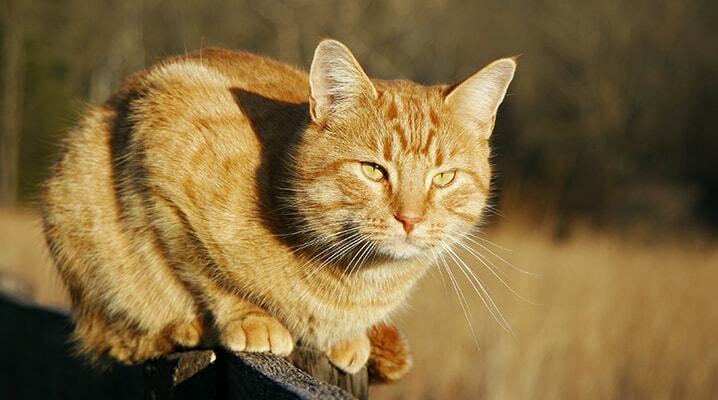 Diabetes in cats is thought to be similar to type 2 diabetes in people. Cats who are overweight may be more likely to develop diabetes. weight loss (despite an increased appetite). Diagnosis is typically made on blood and urine tests. In some cats, diabetes may be reversible (temporarily or permanently), depending on underlying conditions. In other cats, lifelong treatment with insulin injections is required. Dietary management and weight control are also important parts of management of diabetes in cats. Hyperthyroidism is when the thyroid gland is overactive and produces too much thyroid hormone. In cats, this is typically caused by a benign growth of the thyroid gland, though in rare cases it may be due to thyroid cancer. sometimes behavioural changes such as agitation or restlessness. vomiting and diarrhoea may also be seen. High levels of thyroid hormone in the blood can cause changes in the heart, so a heart murmur is common in hyperthyroid cats. Diagnosis is usually made with blood tests. Other tests may be recommended for some cats (e.g. further evaluation of the heart). Treatment options for hyperthyroidism in cats include lifelong medication, surgical removal of the thyroid gland, or treatment with radioactive iodine (I131), which is also used in people. Here at U-Vet, we treat many cats with I131 with good results.